Why is my lawn brown? I water, I fertilize regularly. I water, I fertilize regularly. If you have a lawn, I am sure that you have asked this question on numerous occasions. While there are many reasons for this to happen, it is still very frustrating. Most reasons that your lawn is brown are perfectly okay… no need to worry as all lawn problems can be fixed. Below are some of the most common reasons your lawn will brown out when you do everything right. Fungal issues. 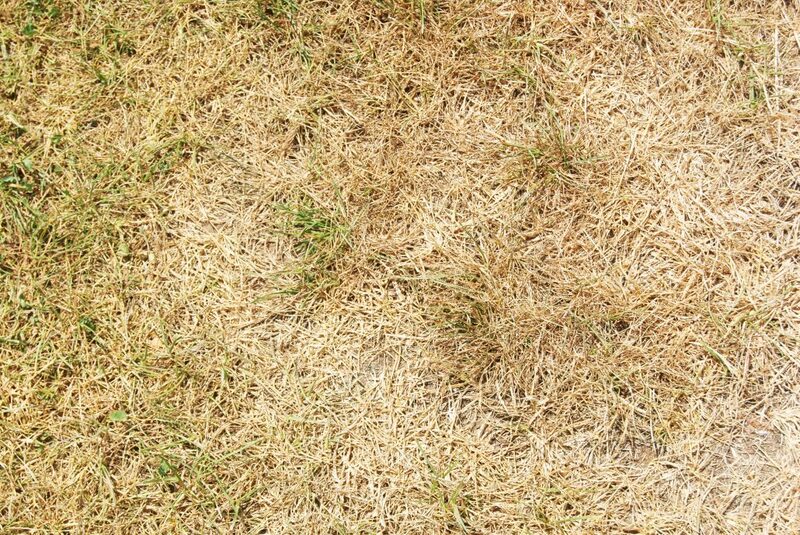 Brown patch is a disease that happens in the summer time when the hot temperatures coupled with high humidity create a favorable environment for this disease to thrive. Usually changing the environment will keep brown patch at bay, if not then you can lose good amounts of turf. A fungicide can also be used to lessen the effects of this disease. Red Thread. Is also another lawn disease that usually happens in late spring that can give your lawn a brown appearance? Much like brown patch, changing the environment will keep the disease at bay. Another reason for a brown lawn is the presence of white grubs. White grubs are the larvae of scarab beetles. These larvae feed on the roots of the lawn. If this goes unchecked, the lawn will brown out and die off. In the summer, a insecticide can be put down to prevent this insect from doing any damage. Soil acidity. Your lawn needs a ph range from 6-7. When the lawn becomes to acidic, the lawn will not take up the nutrients in the soil making the lawn suffer. Check the ph of the soil and if the lawn is too acidic, then apply lime as needed to correct the soil. These are some of the reasons why your lawn may be brown even though you are doing everything correct. Always consult a professional to properly determine the cause of your brown lawn.